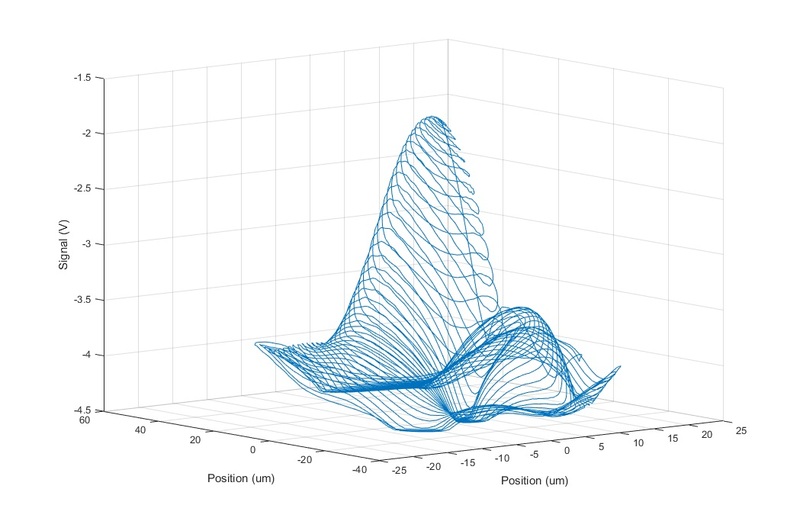 In order to maximize scanning speed for photonics applications, it is often important to acquire recordings of nanopositoning stage sensor data synchronized with data collected from external sensors or detectors. The LC.400 series of controllers can record up to 8 streams of internal data simultaneously, including voltage signals measured via the controller front panel BNC analog inputs. The controller internal recording function can sample data every 24 microseconds. The sample rate can be adjusted to record for longer periods of time for a given buffer size, or to reduce the size of the data set transferred to the PC via USB or Ethernet. For example if the sample rate were set to every 240 microseconds, the controller can record 8 simultaneous data streams for up to 20 seconds. Nanopositoner sensor data and BNC analog input data is recorded with 20 bit resolution. When using an LC.400 controller digital positioning function to scan the nPoint stage, the position command functionality of the BNC analog inputs can be disabled so that the inputs can be used to record external signals. Using this method can eliminate an external data acquisition device to sample the LC.400 BNC sensor monitor outputs, or eliminate complex TTL synchronization. This is useful in applications that benefit from correlating piezo stage sensor readings with measurements such as fiber alignment intensity. Recorded data buffers are transmitted from the controller to the PC at a rate of approximately 173k samples per second via USB. For example if sampling every 240 microseconds for 1 second, each buffer of 4167 samples would take approximately 24 milliseconds to transfer from the controller to the PC. 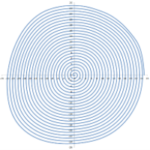 3D plot of a fiber alignment spiral scan acquired with the LC.400 controller internal recording functionality. Visual Studio 2010 programming examples are provided to assist customers in developing their own PC applications, including an example for the internal recording functionality. The USB drivers provided for the LC.400 controller are compatible with Windows, Linux, and Mac OS X. The USB driver functions can be called from a wide variety of development environments for C++, C#, VB, Java, Python, Labview, etc. Data synchronization is an integral part of many applications. 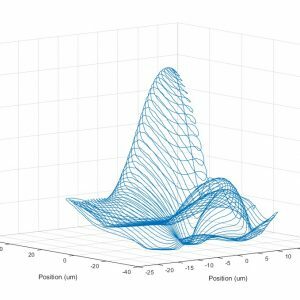 Optical fiber alignment can benefit greatly from the use of precision high speed scanning associated with piezo stages. By combining the nanopositioning stages with flexible digital controls it is easy for the user to enhance their production process with speed and precision.